July 1, 2017 – Oswego, NY – In 2016 the lightning fast supers of the International Supermodified Association, (ISMA), returned to the Laurel Mountains of Pennsylvania to an old haunt Jennerstown Speedway after a nine-year hiatus. Sixteen previous appearances from 1988-2007 produced many memorable moments at that .522-mile oval. The 2016 return was a much-anticipated and successful one. With new data to work with after last year’s return, this year’s July 15 visit is a can’t miss event. While some of the competitors from those early trips like Bentley Warren, Eddie Bellinger Jr., Pat Abold, Mike Ordway St. and the man who had won six features there, Chris Perley, were not on the roster, many of the new generation provided an exciting day of racing. Mike Lichty, who was involved in a see-saw battle with Dave Shullick Jr. for the 2016 ISMA championship but Shullick was right behind him in this one as the two waged war for the win at a rapid pace after a not unexpected light shower came and went. In a seventeen minute, twenty-eight second, 50-lap feature, only one short yellow flew to slow the action. The side by side racing and lead swapping out front, left the fans that stuck with it, in awe. Early leader Dave Shullick Jr, lost his spot to Mark Sammut, got it back one lap later and then lost it again to Mike Ordway Jr., but regained it in the same lap. When Ordway Jr.’s #61 shut down on lap 32, Mike Lichty, moving up from ninth, became the challenger and he was able to take over out front on lap 33, never to give up the spot. He took the checkered 17 laps later for a $4,200 payday. Mark Sammut filled in the third spot on the podium with Moe Lilje, Ben Seitz, Jim Paller, Mike McVetta, Timmy Jedrzejek, Trent Stephens and Dan Bowes finishing up the top ten. Seitz, in a new ride in 2017, is coming off a win at Stafford, where Timmy Jedrzejek chased him to the finish line, also driving a new car from the Lane Racing stable for the first time. New this also is Jon McKennedy in the P&L Vinyl 21 as he splits his time between the supermodified and the modifieds where he has excelled over the years. Perley should also be back as that team also is sorting out a new car, which debuted late last year. After only three races to date this season, Ben Seitz has taken over the point lead in the Locke 37, trailed by Ohioans Trent Stephens, Mike McVetta, Dave Shullick and Timmy Jedrzejek in the Lane 97, followed by Jon McKennedy, Chris Perley, Dave McKnight, Mike Lichty and Tony Bowes in the top ten. The Jennerstown Speedway Complex is located in Jennerstown, Somerset County in the Western PA’s Laurel Highlands, at the intersection of Rt. 30 and Rt. 985. The Farmers Union Co-Op 50-Lap ISMA Feature Powered by Milk is slated for Saturday July 15 with Gates Open: 4:00 pm | Races Start: 6:00 pm. Visit Jennerstown.org for information or call 814-703-8009. 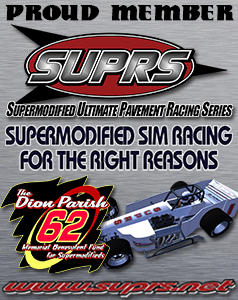 Fans can buy tickets for this supermodified race online at the Jennerstown website.